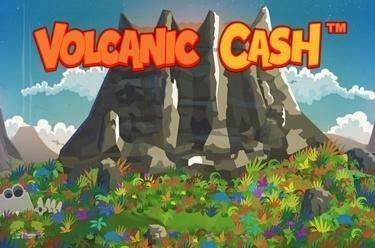 Play Volcanic Cash™ online for free now! Welcome to the Stone Age! Take a look around - our thriving volcanic landscape only holds the best in store for you! 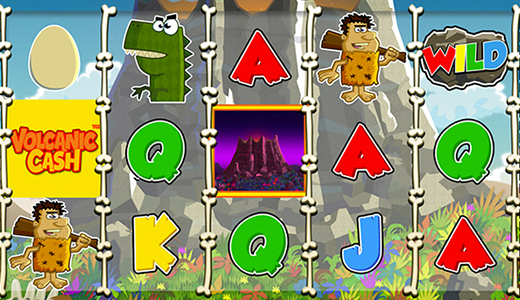 Whether under rocks, behind cavemen or dinosaurs: You can find Twists in abundance almost everywhere with Volcanic Cash™. Rejoice when the volcano spits fire - an explosion guarantees you a spectacular Twist eruption with 15 to 25 Free Games! Your aim is to land 5 identical symbols along the 20 win lines. Winning combinations start on the first reel on the left and run along an active win line to the last reel on the right in the regular game. To win, the symbols must lie next to each other without any other symbols between them. The Stone substitutes for all symbols except the Scatter. 3, 4 or 5 Volcanoes in any position win 15, 20 or 25 Free Spins respectively with the Lava-Wild symbol. You play with the settings of your last regular round however without Volcano scatter, which means you can't win more Free Games. With every Free Spin you will get another Lava-Wild symbol on reels 2, 3 and 4. The Lava-Wild symbol replaces all symbols except the Volcano scatter and completes all winning combinations so you can grab many fiery Twists!